The panel discussion. FLTR: Mr Tshepo Mahloele, CEO of Harith General Partners, Ashruf Kaka, National Project Director of African Chrome Fields, Honourable Winston Chitando, Zimbabwe Minister of Mines and Mining Development & Mr Rafiq Bagus, CEO of Morning Tide Investments. 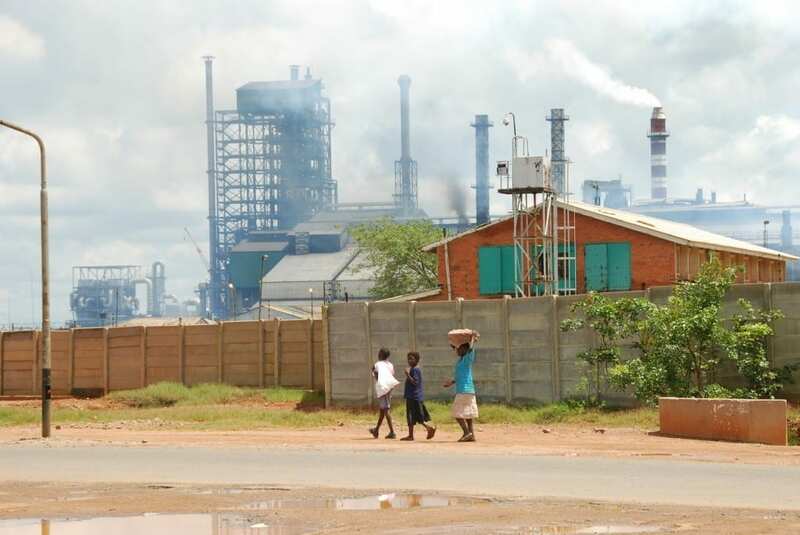 Zimbabwe’s Minister of Mines and Mining Development, Winston Chitando has emphasised two issues that will help stimulate the country’s mining industry, and tap into Zimbabwe’s under-explored mineral resources. 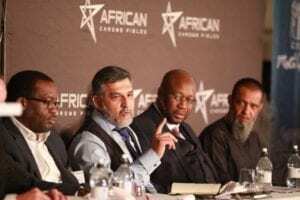 Chitando, who was addressing investors at the Mining in Zimbabwe Dialogue that took place on Tuesday at the One&Only highlighted the indigenisation threshold that is now in place for only diamonds and platinum and government’s endeavour to uphold policy clarity and consistency, saying these areas are where cabinet would like to see investors take advantage of. The Minister commented that there are currently only three Exclusive Prospecting Orders in Zimbabwe and he invited more entities to partner with Cabinet to unearth more of what is in the country. One of the current investors in Zimbabwe, Zunaid Moti, chairman of the Moti group, set the scene for the objective of the day – getting investors interested in Zimbabwe. He said, “Opportunities are based on relationships that were cultivated as result of difficulties that were worked through. 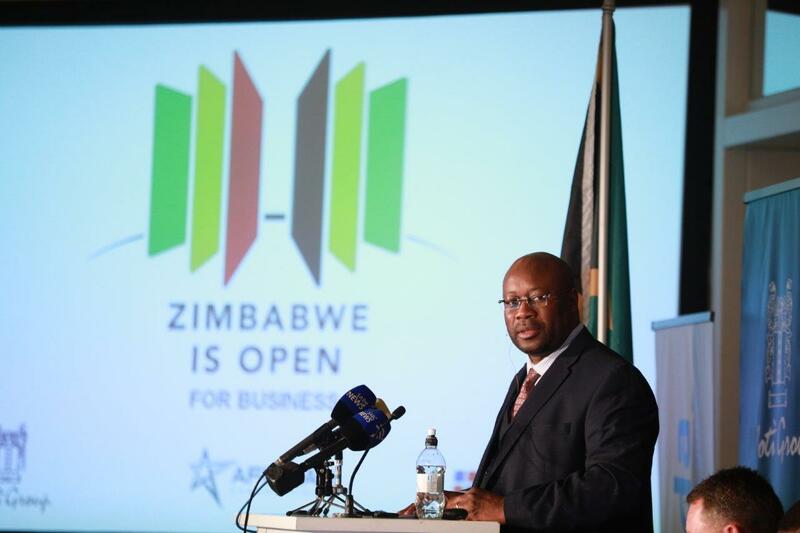 Victor Kgomoeswana, author of ‘Africa is Open for Business’, who acted as moderator for the event, commented that it is the work ethic of Zimbabweans and resourcefulness – combined with the depth and breadth of what Zimbabwe is – that should inspire investors to have a presence in the country. Ashruf Kaka, National Project Director of African Chrome Fields (ACF) and CEO of the Moti Group, echoed Kgomoeswana’s sentiment that Zimbabwe’s real beauty is the unwavering spirit of its people.